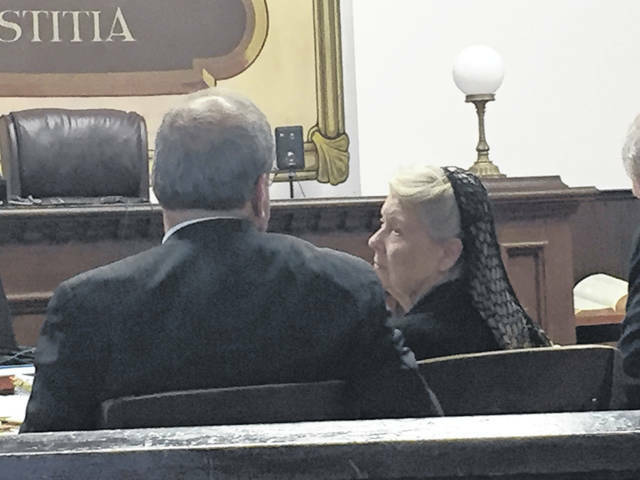 Fredericka Wagner consults with her attorney, James Owen prior to her pretrial hearing Thursday afternoon in Pike County Common Pleas Court. The first trial dates have been set in the case involving the murder of eight member of the Rhoden family in 2016. 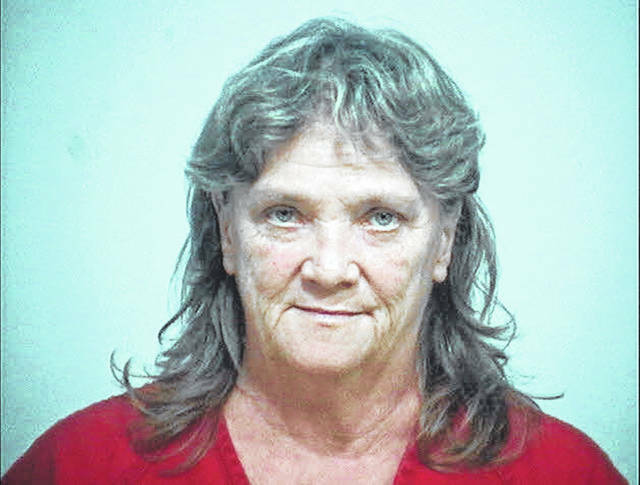 Rita Newcomb of South Webster, and Fredericka Wagner appeared in Pike County Common Please Court Thursday morning and afternoon for a pre trial conferences. Pike County Common Pleas Court Judge Randy Deering spoke with defense attorney Frank Gerlach, representing Newcomb, asking him if the bill of particulars, as well as status of discovery, had been satisfied. Gerlach said he has requested to see the complete transcript of his client’s testimony before a Pike County Grand Jury. Newcomb faces, among other charges, perjury for allegedly not telling the complete truth during her testimony to the grand jury in relation to what she knew about her family members’ involvement in what was described as execution style murders of the Rhoden family. 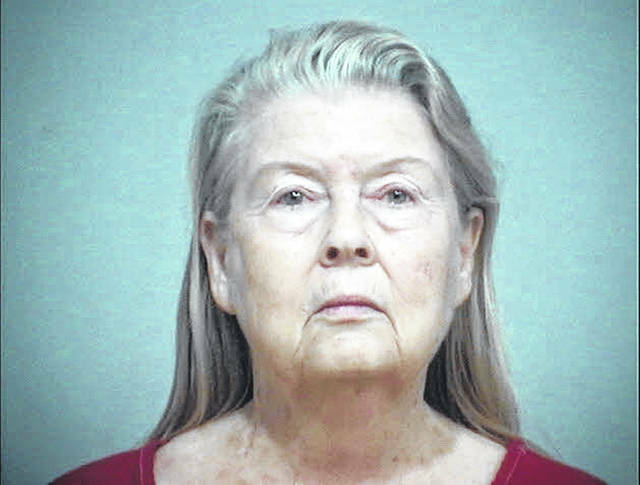 Angela Canepa, special prosecutor from the Ohio Attorney General’s office told the court she was prepared to release 54 of the 93 pages of transcript to Gerlach before he left the courtroom Thursday. Deering instructed both defense and prosecution, the court will review the remaining pages to see if they can be unsealed as well. Deering also asked prosecution if a motion for a gag order had been filed in the case. At this time, according to Canepa, there has not been a motion filed. The other five defendants in the case are currently under a gag order issued by Deering earlier. Deering set what would appear to be a final pre trial hearing for Newcomb for June 14 at 1:30 pm. He also set July 8, 9 and 10 for a jury trial and said July 11, if necessary. For Wagner, her final pretrial has been set for June 26 at 1:30 pm. A jury trial has been schedule July 29 and is scheduled for five days. Before Deering set the dates for Wagner, her attorney, James Owen, argued for her case to be dismissed, as well as for her house arrest to be removed. Owen argued that the evidence about Wagner purchasing bullet proof vests linking her to the April 21, 2016 murders was incorrect in that she ordered the vests on Ebay 15 days after the murders took place. He said this does not constitute perjury or obstruction of justice. Canepa responded by saying the documentation that was given to the court showing when and how the bullet proof vests were purchased was not authentic. “We need to look at all four corners of the indictment,” Canepa said. She said there is much more to the case than Owen was putting before the court and asked Deering to over rule the motion. Deering did in fact over rule the motion, but in a motion from defense to allow Wagner to attend church services at Crystal Springs Church, Deering allowed the motion to stand with a clarification the court needs to know the dates and time the services are to be held. He also allowed Wagner to attend Lucasville Mission Church as well as long has she notifies authorities prior to attending. In that same motion, defense was asking for a complete removal of the ankle bracelet to allow Wagner free travel in Pike and Scioto counties. Deering denied this part of the motion. Prosecution and defense are also working on particulars of a gag order as well. Owen spoke saying he would no longer make comments to the press outside courtroom proceedings. Newcomb, as well as Fredericka Wagner are the grandmothers and mothers involved in the case which also includes Angela Wagner, Newcomb’s daughter; George Washington Wagner III, Fredericka Wagner’s son, as well as the sons of Angela and George, George Wagner IV, and Edward “Jake” Wagner. Newcomb, as well as Fredericka Wagner, both face charges of perjury to grand jury, as well as obstruction of justice. Newcomb faces an additional charge of forgery for allegedly forging a document for child custody, which is, according to then Attorney General Mike DeWine, could be the motive for the murders of the Rhoden family. The remaining four members facing charges in the deaths of the Rhodens each face eight counts of first degree murder with death penalty specifications attached. According to DeWine, there was a custody battle between Hanna Rhoden, who was 19 at the time of her death, and Edward Wagner, over their daughter. Also murdered was Hannah Gilley, 20; Christopher Rhoden Sr., 40; Christopher Rhoden Jr., 16; Clarence “Frankie” Rhoden, 20; Dana Rhoden 37; Gary Rhoden 38; and Kenneth Rhoden, 44. The Rhoden family was found murdered on April 22, 2016 at four different residences in Pike County. 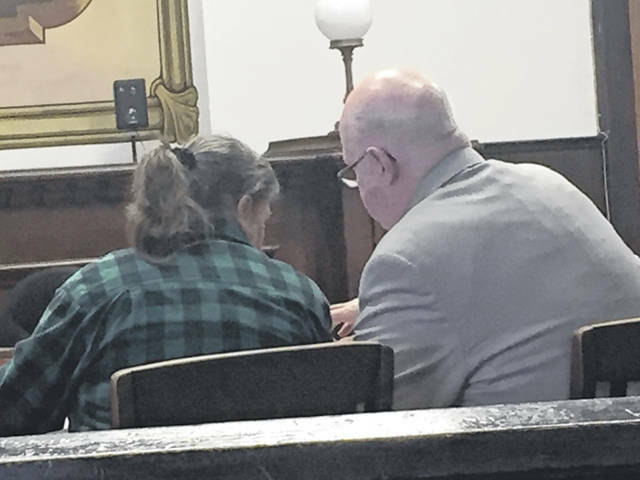 https://www.portsmouth-dailytimes.com/wp-content/uploads/sites/28/2019/03/web1_Freddie-Wagner-1.jpgFredericka Wagner consults with her attorney, James Owen prior to her pretrial hearing Thursday afternoon in Pike County Common Pleas Court.